To be honest, the Spanish conquistadors were around at the time of everyone’s collapse. Guns and horses gave them a terrible advantage over the natives, and they killed tens of thousands. 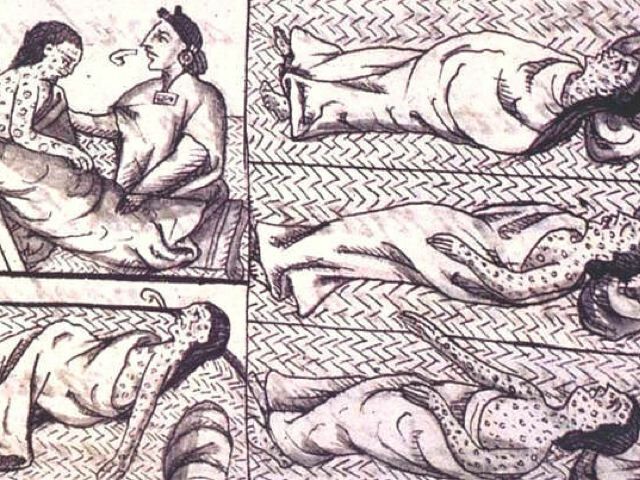 A more terrible advantage was smallpox, which they brought from Europe by accident on a ship in 1520, and travelled ahead of them in a tidal wave through the rainforests of South America. It killed millions. 30% of the Incan capital city, including the emperor, were dead before they arrived. Across South America, 90% of the native population were wiped out without the Spanish even reaching them, without even knowing. No wonder the towns they did reach seemed abandoned, depleted, and the people desperate. Messengers carrying the news of the Spanish carried smallpox as well as messages and that was that.